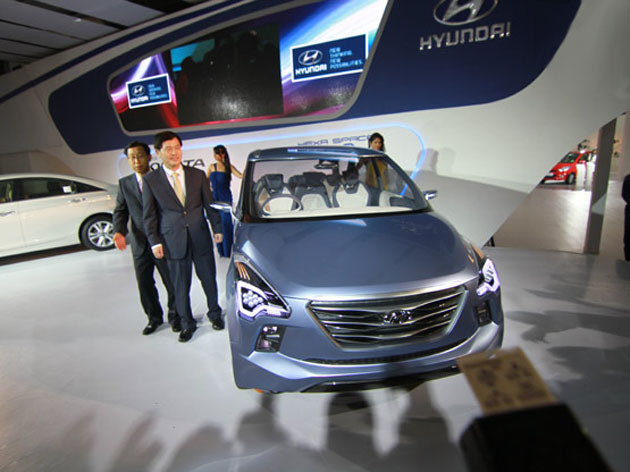 Hyundai Motors has unveiled the latest variant of the Hyundai Sonata along with its new MPV concept car, the Hexa Space. Both the cars that have been unveiled have a luxurious look though the Hexa is still in concept stage and production version is awaited. There had been strong rumors that the latest Hyundai Sonata would be offered with a diesel engine variant but these rumors have been squashed by the auto maker as the car has only been released with a 2.4L GDI petrol engine. Although the car has not yet been officially launched and there has been no declaration about its price, it is expected that the latest Hyundai Sonata is going to be priced around Rs.18 Lacs. The Hexa Space has been provided with a contemporary design, which has strong resemblance to its Veloster concept car. The LED headlamps have been peeled back, its black grille is V-shaped and it has a square-shaped nose. All these factors ensure that the car differs in its stance from other conventional MPVs. The wheel arches are also very pronounced, the fog lights have been stored in deep enclosures and the cabin resembles a cockpit. This adds to the uniqueness of the car. The rear has not been provided with pillars and smoked glass has been used for finishing it. The tail lamps have been also designed in a manner that makes it stand out as well. The latest Fluidic Design concept that is seen in recent Hyundai vehicles like the Elantra and the Verna has, however, not been provided to this car. The design, however, is such that it will gradually increase its affinity towards you. The car has a length of 4.3m in which a wheelbase of 2750mm has been provided. The car is going to get its power from a turbocharged 1200cc Kappa petrol engine. This engine has been mated to a six-speed auto transmission gearbox. 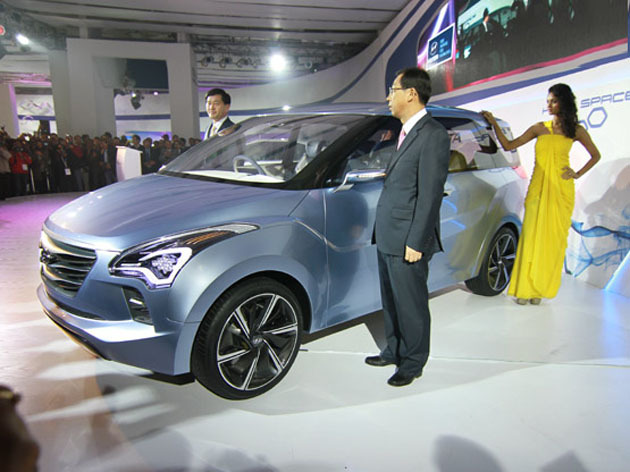 Hyundai has packaged this car in an ambitious manner and is planning to provide it with seating capacity to comfortably accommodate eight passengers. It is going to have three seat rows inside its cabin. The seats have been made slim and the height of the seating position increased. This contributes to the efficiency of space. It has, however, not been disclosed by Hyundai as to when they plan to start producing this car. But, the fact of the matter is that this unique and innovative MPV will definitely appeal to a lot of people.